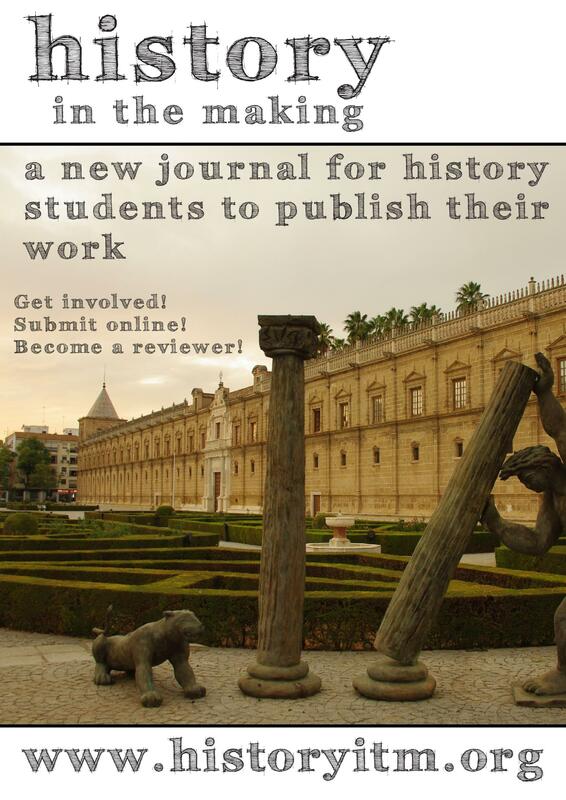 Did you write a great essay and would you like to see it published in a journal? Do you want to gain experience of the peer review process? 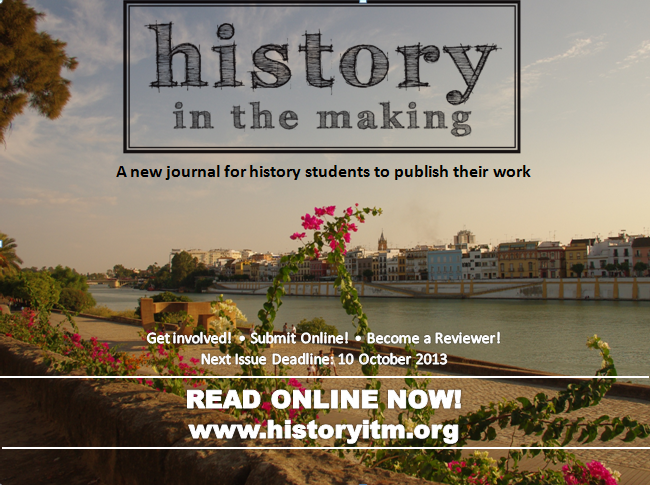 We are currently inviting all students to submit articles for publication – you can submit at any time, but if you submit by 10 October 2013 you will be considered for the next issue, which will be published in March 2014. Find out more about the submission process by clicking here. If you are an honours or postgraduate student, you can apply to become a reviewer. History in the Making Vol.2, No.2 was launched today. Our latest issue features eight outstanding essays from undergraduate and postgraduate history students from across the country, covering a diversity of topics, including women soldiers in the American Civil War, the Australian counter-culture in North Queensland and the role that Vegetarianism played in Victorian debates over animal welfare. New blog for history students by history students! The journal is open to all undergraduate and postgraduate students currently enrolled at an Australian university. We are currently inviting all students to submit articles for publication – you can submit at any time, but if you submit by 10 October 2013 you will be considered for the next issue. History in the Making is a participatory project which aims to showcase the best historical research being undertaken by history students across Australia. Students at all levels can get involved in this new project by submitting their own work or volunteering to review and edit other students’ work. 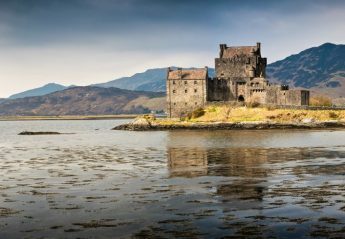 Stay tuned for the launch of our brand new History in the Making blog, which will feature regular blog posts from history students around the country.